Posted in: Arrests, Media Release. Tagged: J. Carson. 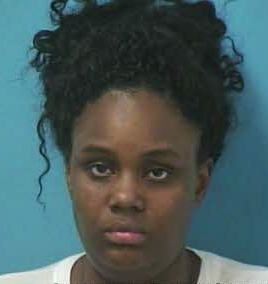 A Nashville woman remains jailed after her arrest yesterday afternoon for shoplifting. At 3:30, Thursday, officers were summoned to the Cool Springs Target for an in-progress theft. Deandrea Grace, 25, of Nashville, loaded a large plastic container with more than $1,000 in shoes, clothing and baby formula. Undercover Franklin Police Officers arrested Grace while she was loading the stolen merchandise into her car. During the investigation, Grace was identified as the same suspect who committed a similar theft at this Target on September 9. The loss in that theft was nearly $900. Grace, charged with two counts of Felony Theft, is being held in the Williamson County Jail on a $35,000 bond. She is due in court 10/13/2016.